My first foray into the past-time of blogging was with a cosmetic blog, Mint and Whimsy, focusing on cruelty free skincare and makeup. Over the past year, as I have became more and more in love with horses, I have come to accept--and embrace--that I am at heart a horse junkie. Clearly I am a product and makeup junkie as well! Horse junkie + product junkie = Fourteen Carrots. This is not a blog offering riding tips, for which we thankfully have Help! My Daughter Loves Horses! Nor is this a blog about showing, traditional grooming or any other real equine facts for that matter. My intention is to offer the equestrian community a horse product blog modeled after some of my favorite style and cosmetic blogs. I have searched for an equine blog geared toward style and product, but I have not exactly found such. 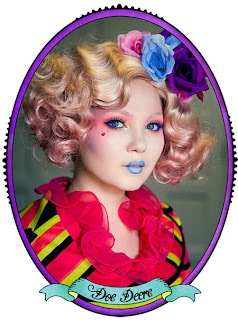 One of my favorite makeup ladies, Doe Deere, created Lime Crime cosmetics when she could not find the makeup she wanted. Similarly, Noel Asmar created Asmar Equestrians when she could not find the functional, elegant and modern riding gear that she desired. Following such inspiration, I offer Fourteen Carrots - the blog I want to read. The most beautiful and classy riding jacket of all time.